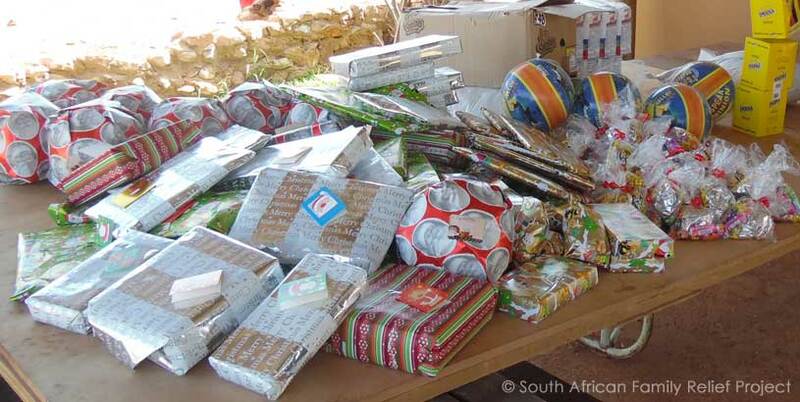 Our team went out to Munsieville and delivered gifts to each child in the camp. They were ecstatic to receive these gifts. Not one child opened their gifts and we were stunned! We walked through the camp and got to one home where one of the children invited us in to meet her parents. I asked her why no one opened their gifts and she said so that had a gift to open on Christmas morning. This broke my heart, for small children like this to show such restraint due to poverty! Thank you to all our donors who made these babies so happy!